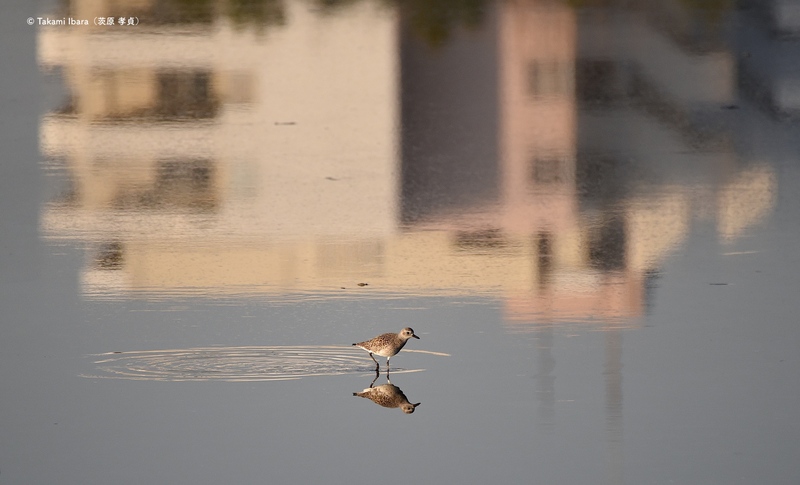 This entry was posted in Birds (鳥), Photography (写真) and tagged ダイゼン, ハマシギ, birds, black-bellied plover, dunlin, 野鳥, grey plover, shorebirds, waders, 大膳 by T Ibara Photo. Bookmark the permalink. Love the reflective shot. 🙂 🙂 Followed you here from Becky in Portugal. Every now and then, a photographer puts themselves into a position to capture something special ~ the second shot you have is awesome 🙂 Wish I could have been there too to see such a sight, beautifully shot, Takami, wish you well. You would have made absolutely stunning shots for sure! This photo was taken at a bird sanctuary that has quite a history. It is “smack dab” in the middle of a city and was spared the results of industrialization thanks to many decades of effort from both the locals and nature lovers. It is a rare success story of the “little guy” winning against a giant. The biggest reward came when it was registered as a Ramsar site in the early 1990’s. If you stop by Japan, I’ll be happy to give you a tour 😉 😀 Wishing you and your family a very happy Spring. It is great to have a sanctuary in the middle of the city ~ both for the birds but perhaps even more for the people 🙂 I’m setting this place as a travel goal, and it would be awesome to have you give me a tour, so we’ll have to plan on it 🙂 Cheers to a great week ahead. Takami, your photographs of the wader birds tell a story… We have a couple of estuaries quite close to the housing estates, and I often see the dogs chasing birds and the dog owners looking in the opposite direction… Noisy picnics don’t help either. Thank you for your photography and the poignant message it conveys. Thank you dear Inese. Yes, I understand exactly when you describe such situations. It seems a global phenomenon…where humans become very self-centered 😦 Of course, there are also people who sincerely care about the situation and make a real effort to bring positive change. But I agree…it takes much patience and resources. And I worry about the balance of our planet… As always, thank you for your sincere and thoughtful comment! It shows a video of Helsinki Cathedral made of snow in Sapporo! Celebrating the 100th anniversary of Japan-Finland relations is fantastic. I have been Japan once in 1970. Poignant photos, Takami. Both show not only the beauty of the birds, but also how limited their habitat has become, as each photo shows our human encroachment. Wild places for wild creatures are getting exceedingly rare. That’s wonderful to hear, Takami. Fabulous art scapes! I love the single bird – looks like it’s walking on the sky! Thank you Noelle! I’m twice happy you enjoyed the lone bird walking the sky 🙂 It was my small contribution to celebrate World Wetlands Day. Thank you, my friend. Really appreciate it. So important that we realise life on our planet will end for humans if we don’t look after our wetlands better! Really beautiful. I especially love the little bird. Thank you. It means a lot. And it’s a reminder that we should respect and cherish all of God’s creations (and including our fellow humans :)) Blessings to you and your family. Takami the birds in flight are breathtaking! Just to see let alone capture them in flight. May I reblog these great photos to my Art site. I truly appreciate your generosity. Thank you Melinda. I’m glad you enjoyed my contribution to celebrate World Wetlands Day. Thank you, I sending wishes of health and happiness. I love the reflections in the top photograph! Such calm, glass-like water. Thank you Josh. I thought it was a nice reflection (ha ha!) of what even a “small” piece of marshland means to these birds. I was thinking that too! Even a small bit of habitat surrounded by buildings can have value to some species. The reminder is appreciated. February 2nd, correct? Thank you, Mr Werner. I liked the reflection too – it was late afternoon, a beautiful time. Stunning photos, Takami. 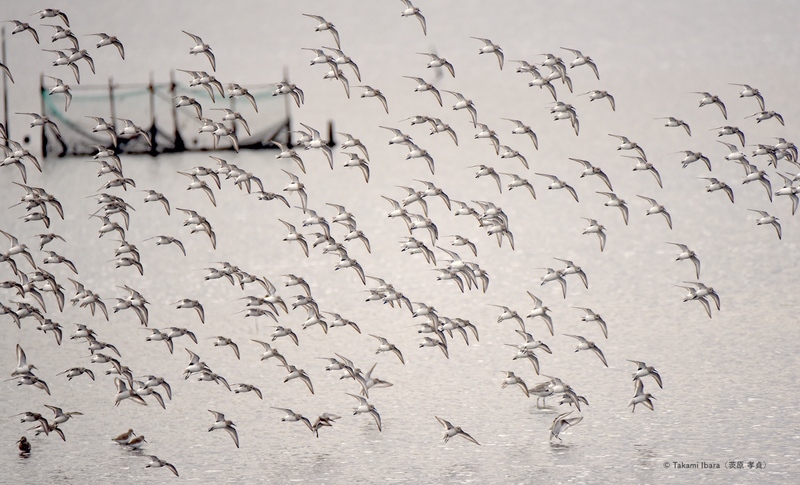 The image of the waders taking flight is evanescent, like screen print.